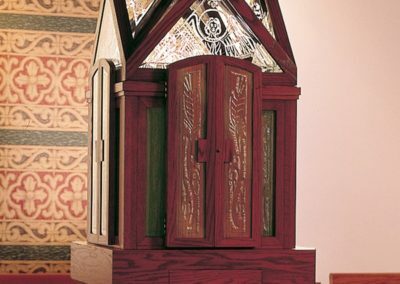 To create a Eucharistic Chapel and a Tabernacle that would reflect their sacred purpose of housing the Eucharist, while relating visually to the existing style of the new St. James Catholic Church in Menomonee Falls, Wisconsin. 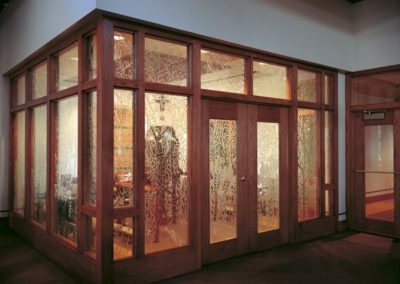 Working in collaboration with Gunder Church Furniture, the Studio provided the Leptat® glass within the Tabernacle and Eucharistic Chapel to create a special sacred space. 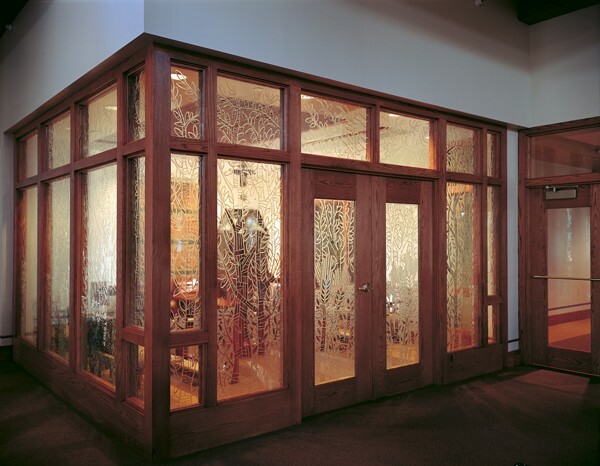 The use of Leptat® etched glass as the primary, ethereal material, makes both pieces appear to be receptacles of light—a fitting visual metaphor. The gabled form of the Tabernacle is both anchored to earth and reaching heavenward. Likewise, the glass on the sides depicts stalks of wheat, “fruit of the earth,” while the glass in the gables depict heavenly angels and stars. 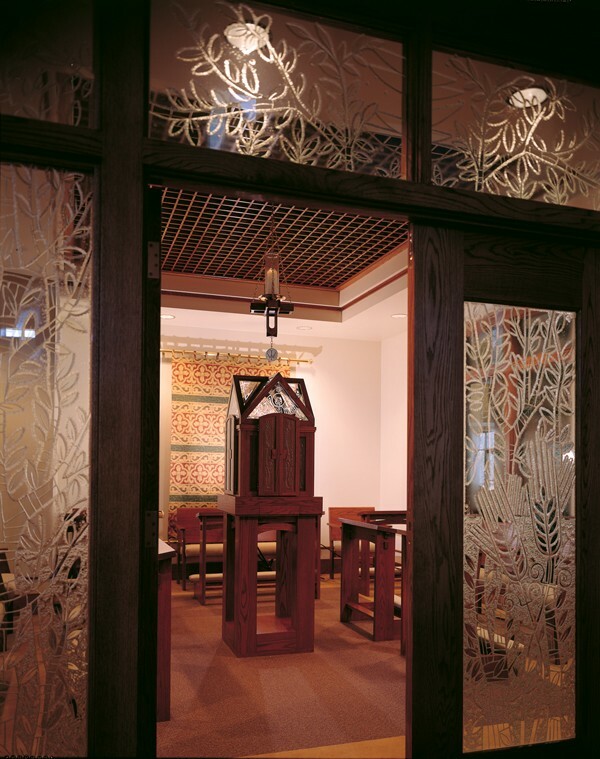 This Tabernacle and Chapel was honored with a Visual Arts award from Ministry & Liturgy magazine.